Children begin learning the minute they are born, regardless of circumstance or other situations. They learn the sound of their parent’s voice, how the sun feels on their skin during the day, how to mimic emotions, faces and sounds, how their native language is structured – these are just a few of the many things that children learn in their first few years. As they grow older, children will start discovering a lot of the “firsts” in life, like shapes and colors and words, and their knowledge base only grows from there. Before they become old enough to enter kindergarten, children should know their letters and sounds, basic shapes and colors, how to cut and draw, how to share and socialize with other children of their age group and much, much more. A child with special needs, however, might not learn all of these things on target with their peers. Learning might be difficult or slow, and some concepts simply might be beyond their able to grasp. If you suspect your child might have special needs or a learning disability, early intervention is the key to developing appropriate educational methods that will help boost their ability to learn better and put them on track for success. Communication – Before they reach kindergarten, children should be able to tell you what they want in simple sentences, assert the beginnings of independence and have lots of words under their belt. A child with special needs might not be able to properly communicate their feelings and needs, which means you might start to see signs of a developmental delay in this area. Fine motor skills – These are the skills your child uses to help pinch a grape from their plate or dial numbers on their pretend phone. It’s essentially the coordination of small muscle movements with the eyes, or hand-eye coordination. Your child will need these in order to pick up crayons and pencils, and preschoolers should be able to hold these with little to no difficulty. 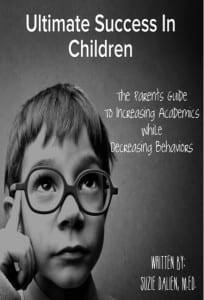 Behavior – As most all parents can attest, preschool children are prone to tantrums and fits at a moment’s notice. This is the age at which children start to learn the art of self-regulation, otherwise known as coping skills. Take note if your child is easily angered, nervous or anxious, or shows signs of inappropriate behaviors based on their current situation. Self-help – These skills should develop as your child gets older and has more experience and include activities such as tying their shoes, zipping their pants, Velcro-ing straps together or buttoning their shirt. If any of these activities seem especially troubling or difficult for your child, more so than normal, additional testing for a possible learning disability could be considered. This is simply a general guideline to spotting special needs and learning disabilities, but is not a definitive list. Enlist the help of a qualified professional if you feel your child might be exhibiting signs of a learning disability or other special condition. If your child has received a diagnosis of special needs, this is a good time in which to be prepared for their upcoming venture into traditional education. There are so many specialized services that can help your little one achieve academic success no matter what age they might be, and preschool is certainly no exception. Special needs tutoring started as a niche that desperately needed to be filled, and the call was answered in untold ways. Thanks to the rapid expansion of technology over the last few decades, this last one especially, children with special needs are able to receive the qualified help they need even when not yet in school. Supplemental learning through special needs tutoring has recently seen a massive increase in younger age groups. This benefits not only the child but parents, too, as they are able to see their child succeed in ways they might not be capable of teaching. This isn’t to say that the road ahead won’t be fraught with educational dilemmas and perils along the way; in fact, you might encounter more than your fair share of obstacles when trying to get your child the best, most appropriate education for their needs. You are, however, not alone in this process, and with a dedicated team of professionals and those who hold your child’s best interest at heart, you’ll have a support group of individuals that can easily assuage your fears about your child’s education, should they arise. Special needs tutoring for preschool children is different than general academia, as it focuses more on building the foundation of skills your child will need throughout their entire life. Before kindergarten, when traditional learning methods are typically employed in the classroom, your child will need to learn self-care, proper communication techniques, sharing and fine motor skills in order to advance onward and upward with their education. Qualified special needs tutors can help shape your child’s world outside of the classroom, where most learning takes place, giving them a broader view of how things work while still focusing on the best learning style for their needs. Admitting your child needs help is always an emotional struggle, and one that many parents hope they don’t have to face, but it’s necessary in order to get your child the appropriate attention they need during their early childhood years. Special needs tutoring can help the process by working with your child’s unique needs, helping them learn in their own special way. 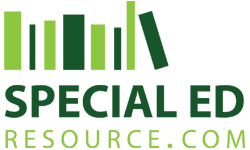 If your child is currently not enrolled in preschool but is struggling with certain self-skills or other developmental areas, Special Education Resource offers customized lesson plans that are tailored to fit their special needs and circumstances. If your child is currently enrolled in preschool and is following a curriculum, our special needs tutors will mold those lessons to fit your child’s unique learning needs through supplemental learning. Our qualified special needs tutors all possess degrees in special education and are trained to handle a variety of learning disabilities. Early academic and developmental intervention can make a tremendous impact in your child’s future success! The first step to identifying whether or not special needs tutoring is the right choice for your child is through a free consultation. 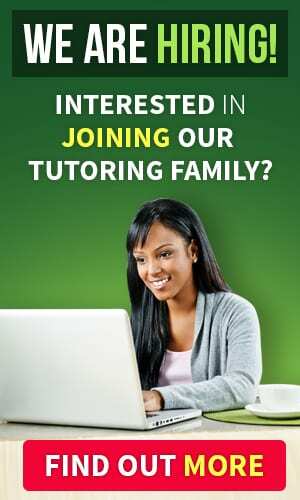 During this call, a special needs tutor will answer your questions, offer guidance and help formulate a plan to ensure the future success of your child. As a parent of a child with special needs, the more you learn about the world of special education, the easier it will be to advocate academic excellence! Special needs tutoring can be most important for young children who find themselves struggling through early development. If started at a young age, children with special needs can truly flourish academically with the correct assistance. Supplemental learning through special needs tutoring is recommended if your child has already started preschool. In this case, the special needs tutor will take the curriculum currently being taught in your child’s school and mold it to fit their specific learning needs. If your child isn’t yet enrolled in preschool, the special needs tutor will utilize custom made curriculum to assist your child in the areas they need help developing.